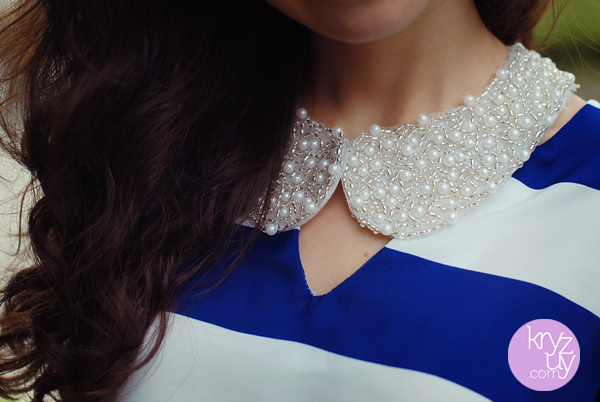 Make Your Own Detachable Collar! Look for a collared shirt. Using your scissors, cut the collared part of the top, using the neckline seam as a guide. Be careful with cutting though, you wouldn’t want to ruin your collar! Decorate it! You can use whatever you want–lace, glitter, sequins, paint, stencils– anything! Just be creative! Once you’re done designing the collar, wear it! Detachable collars are perfect with anything.